Lyons Township Dog Training Club – EVERY TUESDAY NIGHT April 2, 2019 - April 30, 2019 6:30 p.m.
Star Spirit Cheer & Dance National Championship, April 7th, 2019 April 7, 2019 9 A.M. to 7 P.M. Check show website closer to date for exact times and schedule. Star Spirit Nationals 2019, Sunday, April 7th at 9:00am. This 50+ team event is the end-of-the-season spectacular for Midwest cheer and dance teams. Featuring the Best of the Best, this one day Nationals is where tons of prizes are awarded for the athletes, as they compete to win 2 Full-Paid bids and Gold bids to a HUGE event in Universal Studios Florida! 3 days and hundreds of artists and crafters to choose from. With home decor and hand-crafted art work. Perfect gifts for any occasion. Admission is $10, $9 for seniors (age 60+) and children under 10 are free. NEW THIS YEAR: your paid admission is good for all weekend with our hand-stamp! To avoid the lines, purchase tickets in advance at the above website. Chicago Marine Aquarium Society FRAG SWAP 2019 April 27, 2019 9:30 A.M. to 4:00 P.M. 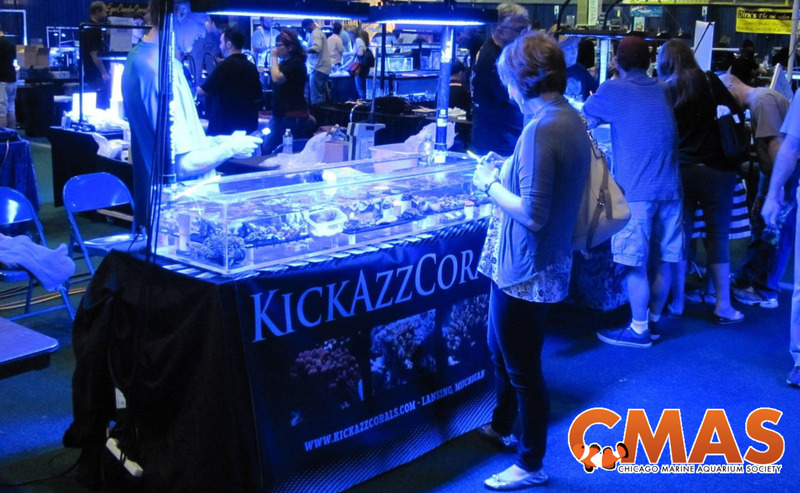 The Chicago Marine Aquarium Society (CMAS) is a nonprofit organization of marine hobbyists brought together by the desire to promote a better understanding of the life we keep in home or office marine aquariums. From the very colorful saltwater fish to the amazing coral formations, their focus is to increase the longevity of marine life in a controlled environment through education and the sharing of ideas. Whether you are just curious about saltwater aquariums or have many tanks of your own, you are sure to enjoy this colorful show. Tickets are $5.00 Pre-Sale General Admission (if purchased 48 hours or more before), or $10.00 General Admission (at the door). Kids 12 & under (with adult entry) are free. 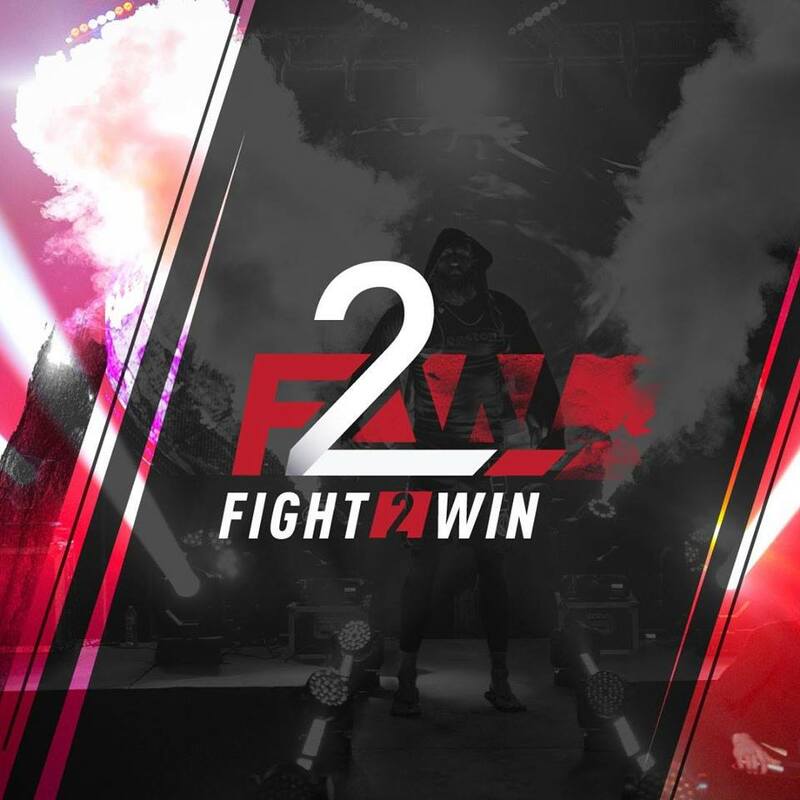 Fight 2 Win Promotions hosts world-class Professional Jiu Jitsu and Open BJJ and NOGI tournaments Nationwide with all the glitz and glamor of a MMA fight! Come out to see all the non-stop grappling action complete with VIP tables up-close to the ring! Lyons Township Dog Training Club – EVERY TUESDAY NIGHT May 7, 2019 - May 28, 2019 6:30 p.m.
Rebeats Chicago Drum Show May 18th-19th, 2019 May 18, 2019 - May 19, 2019 Saturday & Sunday, 10 A.M. to 5 P.M. The Chicago Drum Show produced by Rebeats is the world’s largest and longest-running event of its kind. It is a drum expo, an entertainment event and swap-meet all rolled into one incredible weekend. There are clinics with world-class drummers, master classes for a more intimate experience, demonstrations, raffles, and over 30,000 square feet of exhibits of new, used, vintage, and custom percussion instruments including drums, cymbals, and all sorts of accessories. 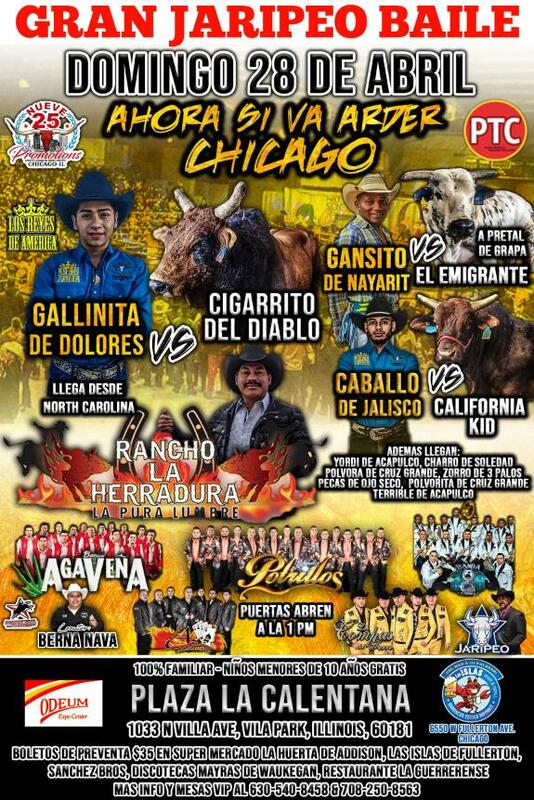 VIP Admission $100.00. Group rates available for 10 or more band members. Rebeats Chicago Drum Show is running in conjunction with the 2019 Amigos Chicago Guitar Show and offers a discount to attend both shows. Contact: www.rebeats.com OR visit their Facebook Page to stay up-to-date as new clinicians and vendors are announced. Amigos Chicago Guitar Show May 18th-19th, 2019 May 18, 2019 - May 19, 2019 Saturday & Sunday, 10 A.M. to 5 P.M. 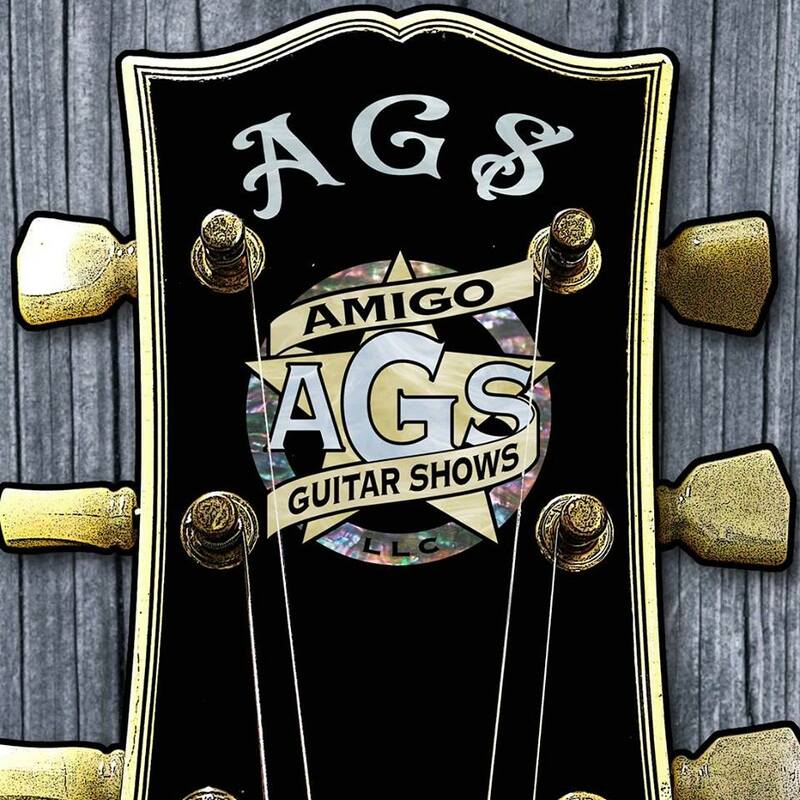 The Amigos Guitar Shows are America’s oldest, biggest and best consumer guitar events! This is a fun opportunity to talk with other guitar enthusiasts and update your equipment with both new and collectibles! This is a rockin’ event you won’t want to miss! Adult Admission is $20.00 per day; Children 11 and under are free, if accompanied by an adult. Group rates available for 10 or more band members. The Amigos Chicago Guitar Show is running in conjunction with the 2019 Rebeats Chicago Drum Show and offers a discount to attend both shows. Contact: For tickets or more information, see www.texasguitarshows.com or stay up-to-date by liking the Amigo Guitar Shows Facebook page! 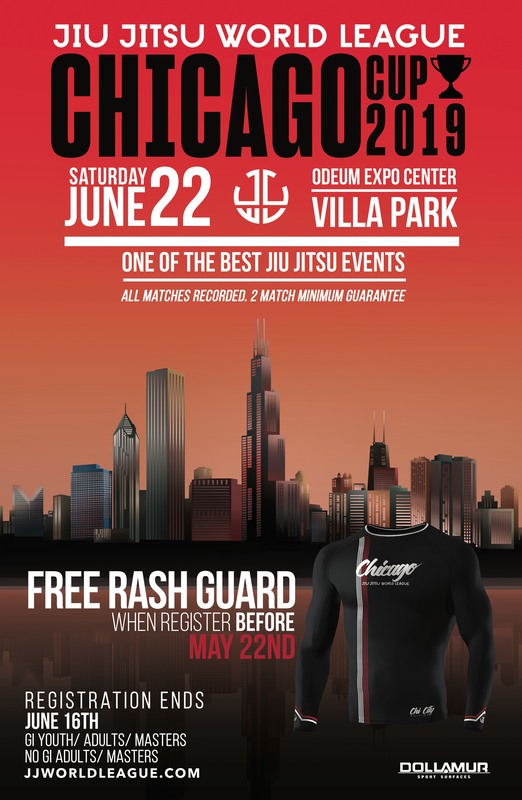 Lyons Township Dog Training Club – EVERY TUESDAY NIGHT June 4, 2019 - June 25, 2019 6:30 p.m.
Jiu Jitsu World League is a competitive BJJ organization that ranks fighters through a series of tournaments using innovative technology and event services. We’re bringing more action, better fights, more entertainment, & highlights of every tournament, straight to you.